A different take on the traditional nursery rhyme. Best of the Permaculture Drylands Magazine – Now Online! “Founded by Scott Pittman circa 1986, PDJ was (and remains) the only publication in the world with the specific focus on Drylands Permaculture. Published for 11 years (1986 – 1997) by the Permaculture Drylands Institute, operating out of Arizona and New Mexico, this publication has lots to offer to permaculture students even 10 years after its final issue was delivered. 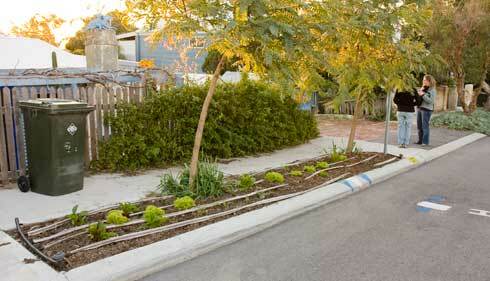 “KERBSIDE GARDENING is the practice of growing edible plants on the footpath. Fruits, herbs and vegetables are commonly planted, sometimes mixed with flowers and native plants. The practice is another means of returning food production to our cities.